A Windows-based PC software package, SPOTPro provides a single control point to configure, store and view data for up to 40 SPOT infrared pyrometers. 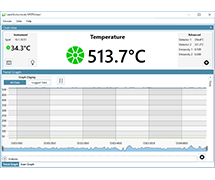 Giving a complete overview of all the SPOT thermometers connected to your network, SPOTPro allows you to independently configure data logging for each thermometer, by setting automatic triggers for data storage. SPOTPro allows users to compare live and historical data to trend and diagnose process issues. Data can be logged to an SQLite database for easy configuration or an MS SQL Server database for enterprise-level data requirements. All data can be exported to CSV or XML for integration into other processes or further processing in applications such as MS Excel. SPOTPro supports a flexible window layout with multiple monitor support – see all the data that is most important to you prominently on screen at once. Suitable for plants using two or more SPOT products, SPOTPro software is used to manage multiple thermometers in industries including Power Generation, Aluminium, Steel and Industrial Processing. A free 30-day trial is available for download now. Each thermometer can be individually configured for a defined storage interval for target temperature, two detector temperatures, ambient temperature, and emissivity. This allows customised criteria to be set for data measurements during important events. 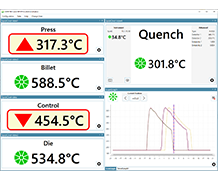 With the facility to view up to 40 thermometers, users can compare and contrast data from multiple devices on a single or multiple screens. Switching between live and historical data enables a comprehensive review and analysis of your measurements. Installation requires a single PC (exact requirements are dependent on the number of thermometers) running Windows 7 SP1, Windows 8.1 or Windows 10. 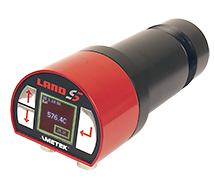 SPOTPro is AMETEK Land’s dedicated software package for the control and configuration of multiple SPOT thermometers. 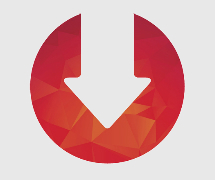 Release Date: 08/04/2019 – Release Notes: - Replaces SPOTServer as the advanced software utility for up to 40 SPOT pyrometers. 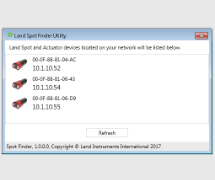 A utility which can be run on a Windows PC to search for any Land Spot or Land Actuator devices available and report their IP addresses. Release Date: 07/09/2018 - Release Notes: Firmware update improves the web server for use on mobile devices and touchscreens. Release Date: 26/11/2018 - Release Notes: Firmware update to improves transient suppression on SPOT R210s and AL EQS instruments and other bug fixes, and supports SPOT GS. SPOT is a family of fully featured, high performance pyrometers for fixed non-contact infrared spot temperature measurements. 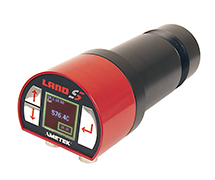 Available in range of operating wavelengths, temperature ranges and process requirements. An advanced non-contact infrared pyrometer providing a single sensor solution for aluminium extrusion press exit, quench and strip applications. 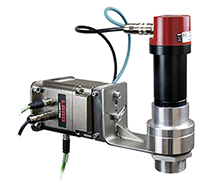 The SPOT Actuator provides remotely controlled target alignment of a SPOT pyrometer for industrial processing applications. An advanced non-contact infrared spot pyrometer specifically designed for continuous, highly accurate measurements of coated steel strip temperature during the galvanneal reaction.